If your answer is yes, you need a Chimney Top. Why? That's simple! Your chimney is a hole in your roof! 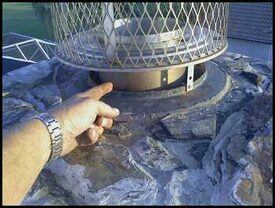 Let Stoneman, Inc. protect your home with a Chase Cover & Chimney Cap! Call today! 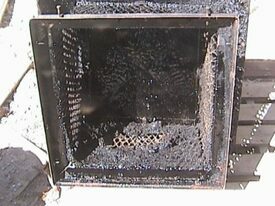 Regular chimney cleaning will remove the inevitable buildup of creosote and soot. Unfortunately, there is no simple rule of thumb for when to do it. Do not rely on advice to do it once a year or at some other set time. Clean your chimney when it needs it - when the creosote is thick enough to warrant cleaning. You cannot keep the chimney completely creosote-free, but left to sit, eventually it will harden into a stubborn glaze if it does not burn first. Remember, scheduling routine chimney sweeps helps to catch dangerous creosote before it catches you. We will fix your leaks! The leak source is determined by spraying water with a hose directly on the chimney on a clear day, beginning at the bottom and working up. 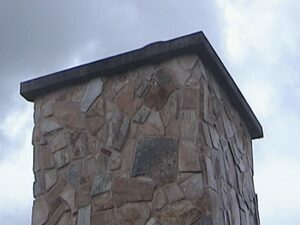 The water is continuously being sprayed upward, ending at the the cement cap and chimney crown, which may have been improperly constructed or may have cracked over time. A helper inside your home will look for interior moisture on the ceiling, walls, and on your fireplace surround. Once the leak is detected, we will repair your chimney the correct way! There may be more than one leak, so once the first leak is found and fixed, the process is begun all over again until ALL leaks are found and fixed. Stoneman, Inc. must be as thorough as possible as we guarantees ALL our work to our customers. Stoneman, Inc. has been providing professional Chimney Sweep services for over 35 years. When the creosote is thick enough to warrant cleaning, or if you notice smoke coming back into your house, it is time to make an appointment. Call to make your appointment today! Then click on & print the coupon below for a FREE Fireplace inspection!